The Eames House Bird is one of many accessories that once adorned the Eames House by Charles & Ray Eames. 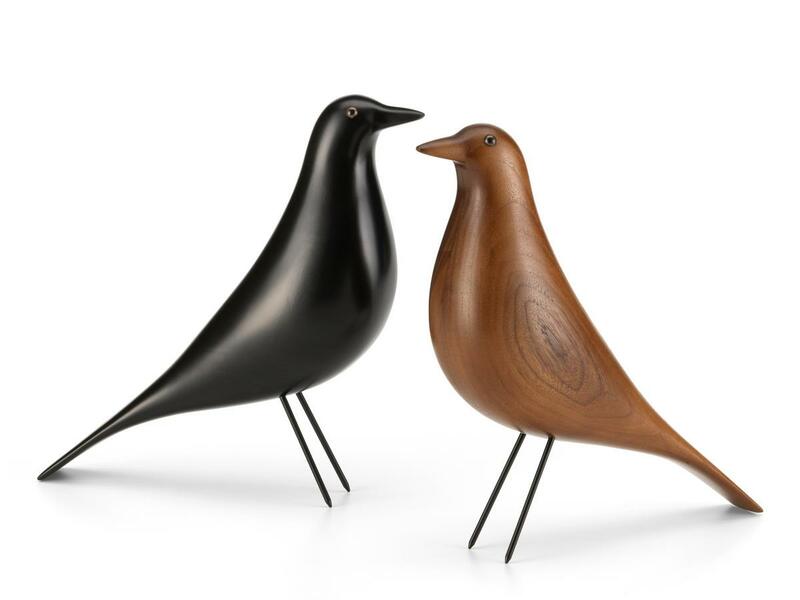 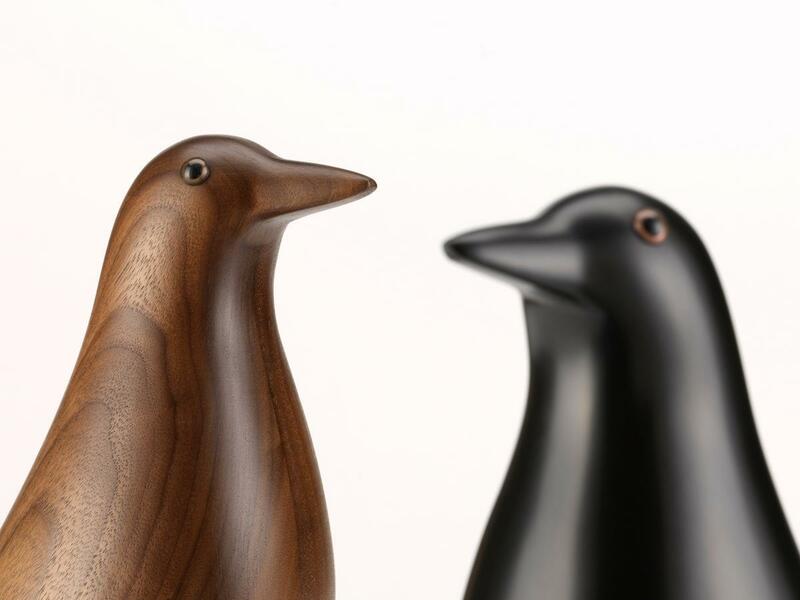 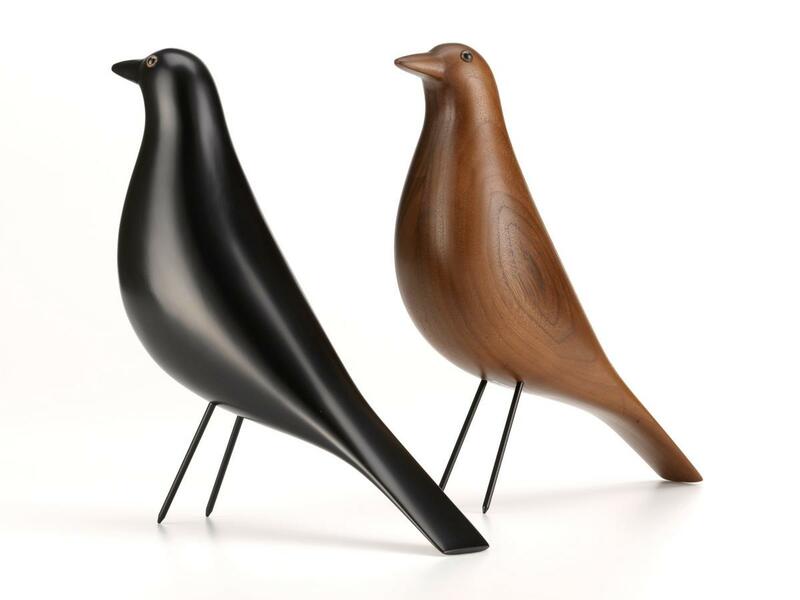 Based on the original and in collaboration with the Eames family, Vitra now produces the Eames House Bird in series and now also offers it in a dark, clear-lacquered, walnut. 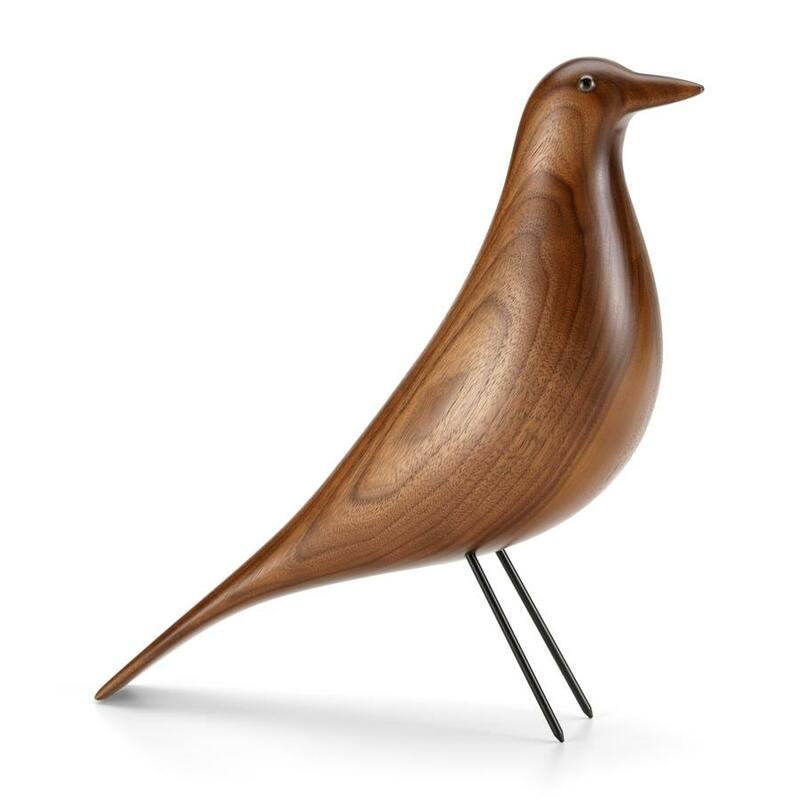 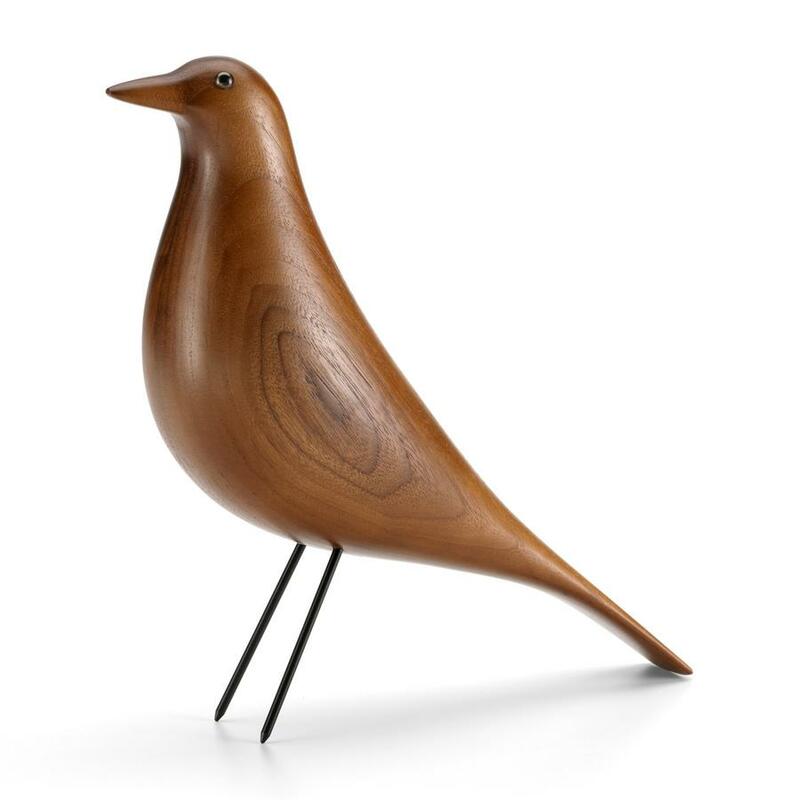 With the noble Eames House Bird Walnut, the wooden bird, which Charles & Ray Eames brought back from one of their many travels, gets a new, contemporary look. 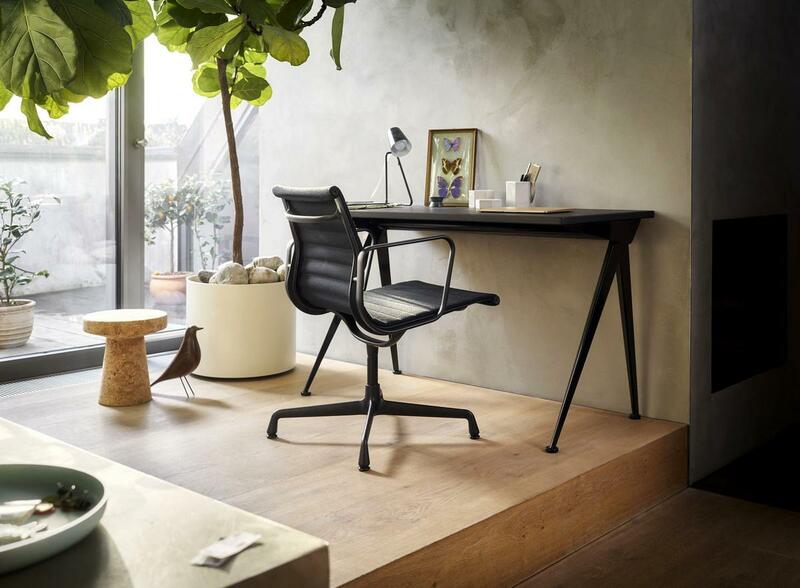 The visible grain helps the Vitra accessory remain original and natural and emphasises the manual production process. 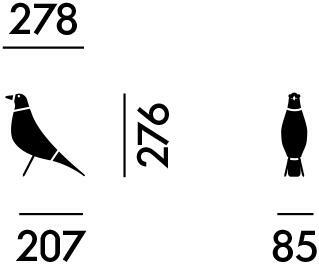 Care For daily care a soft, damp cloth is recommended, always avoid treatment with detergents or chemicals. 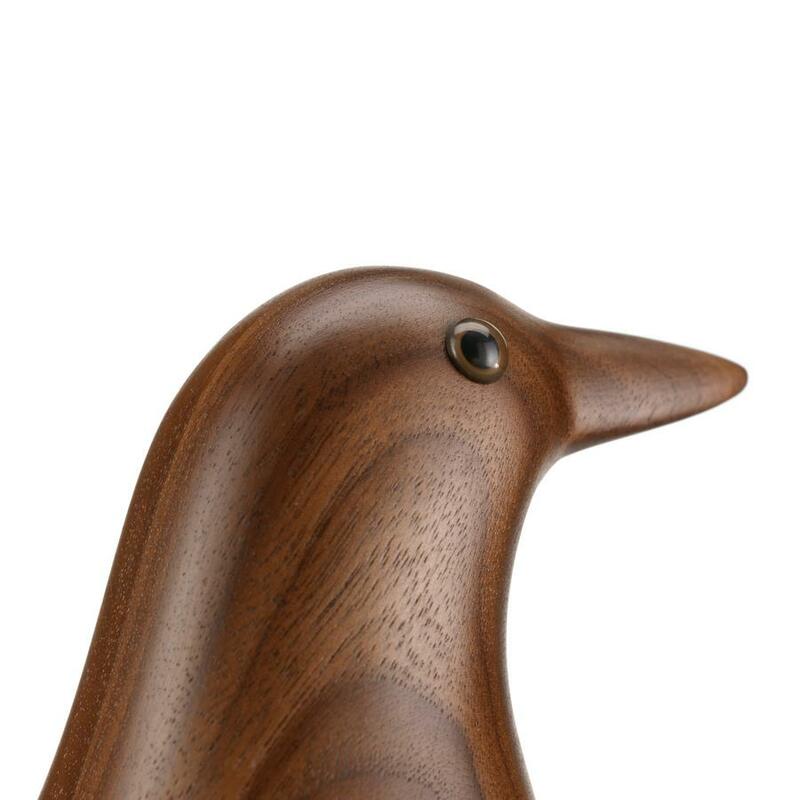 Further care measures are not necessary as being lacquered the wood surface is totally sealed and thus protected. 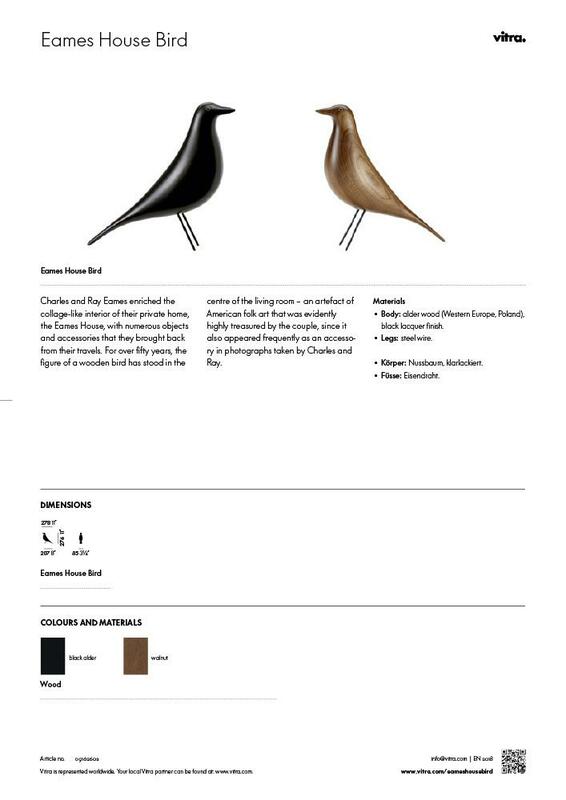 Product data sheet Please click on picture for detailed information (ca. 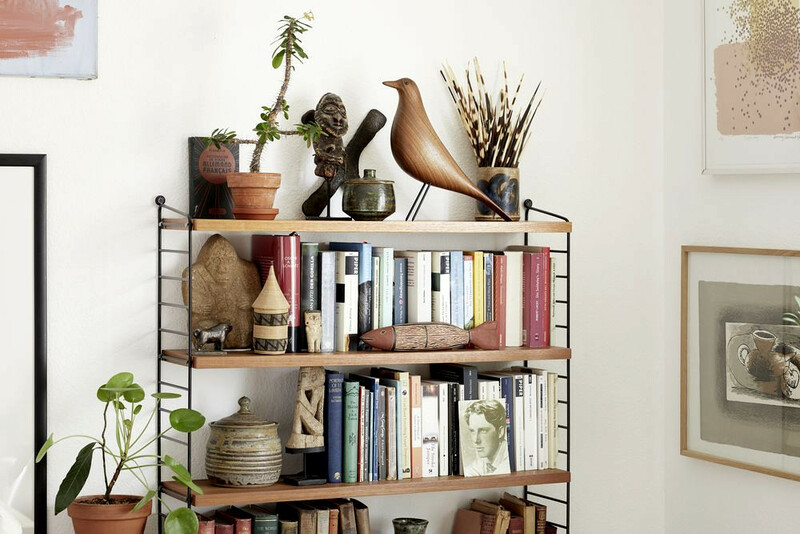 1.0 MB).